January 8, 2015 January 8, 2015 | LizT. These are worn in Episode 18: Christmas Traditions of my web series. If you haven’t seen it yet, Click Here. 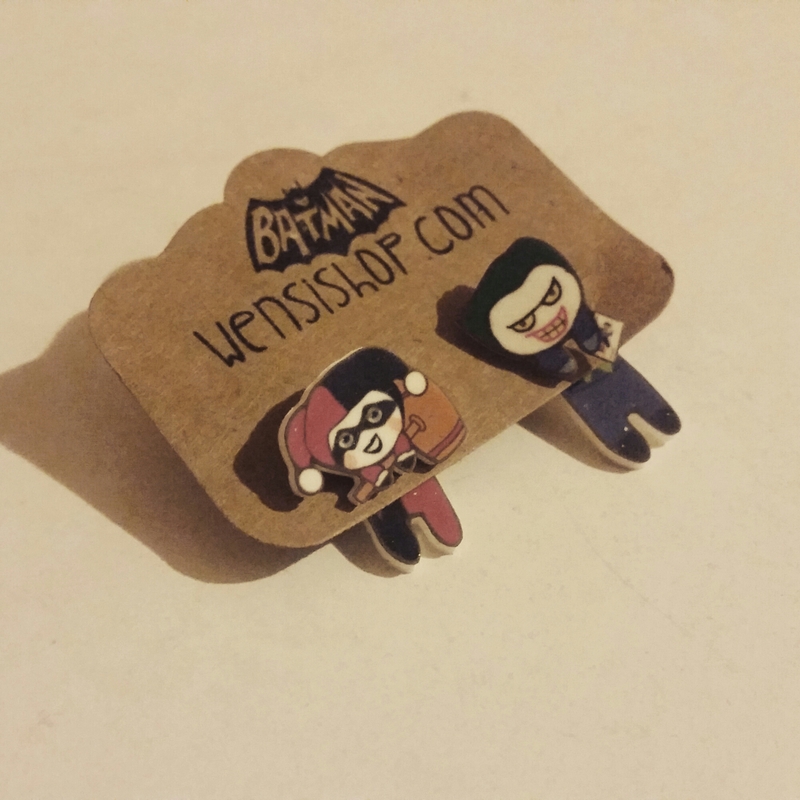 Enter to win these adorably villainous earrings by commenting below. Tell me who your favorite villain is. Doesn’t have to be a comic book villain. All villains are welcome! 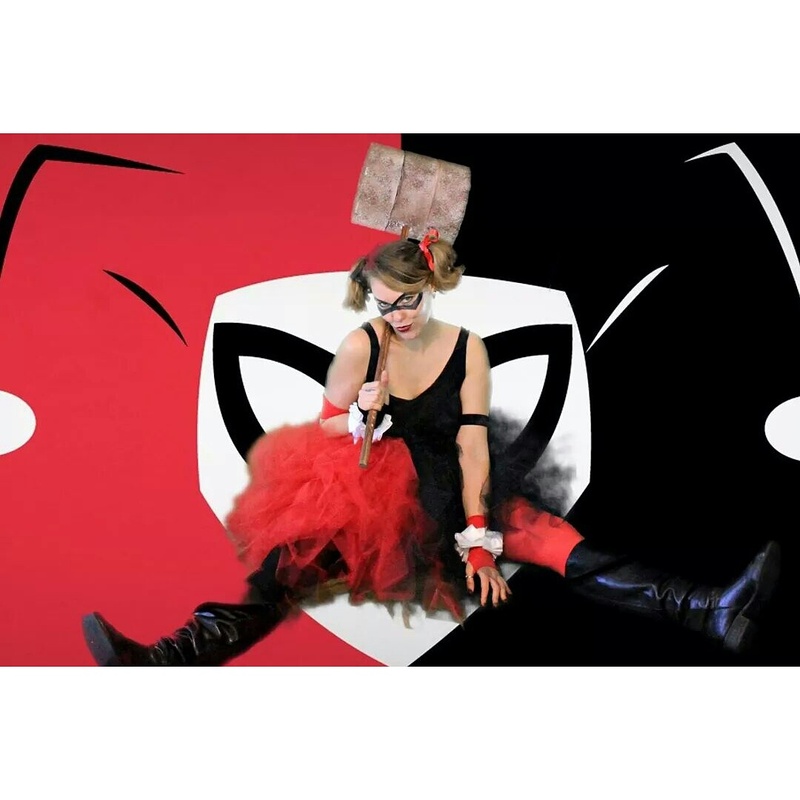 Obviously I have a week spot for Joker’s criminally insane girlfriend, Harley Quinn. Darth Vader follows at a close second. I love to laugh and I used to watch Batman: The Animated Series back in the 90’s (who are we kidding, I still watch it!) And Harley always cracked me up. So yeah, she gets my vote over the baddest of the bad, Darth Vader himself. It doesn’t have to make sense. 😉 Life is a little more fun when it doesn’t, in fact!! Check out what else Wensishop has to offer by heading over to their Etsy shop. Click Here. They have a lot of other adorable pairings. So check them out! Contest ends next Thursday, January 15th when we’ll have a brand new giveaway item! So make sure to check back! I have three favorite villians. Congratulations Gabriella @noiremenarie on winning the Madman and the Crazy Girl earrings. Make sure to email your mailing address to liztailor481@gmail.com. I will get those out to you as soon as possible! Thanks for entering and make sure to check back each week for a new Giveaway item!! these earrings are absolutely amazing! My favorite villains would have to be Harley Quinn, the Joker, and I think Penguin from the TV series Gotham would be a close third! Excellent choices!! Batman does have a helluva lot of great villains! My favorite villain is Black Manta! I’m kind of lame, hahah. Not let at all. Though to be honest I had to Google him. I don’t know much about Aquaman. But good choice! I’ve always been terrified of Judge Claude Frollo from Disney’s The Hunchback of Notre Dame (probably because people like him exist in the real world). Lots of good choices. Agreed about Judge Frollo. Disney sure knows how to make scary baddies! I love these earrings and I’m going to have to say it’s a toss up between Loki and the Green Goblin! We have a 2 year old Boxer that I named Loki and boy has he ever lived up to his name! I love that you named your boxer Loki!!! That is amazing! !